$0 DOWN Pre-Qual Open concept 4 bedroom 2 bath home with split master. 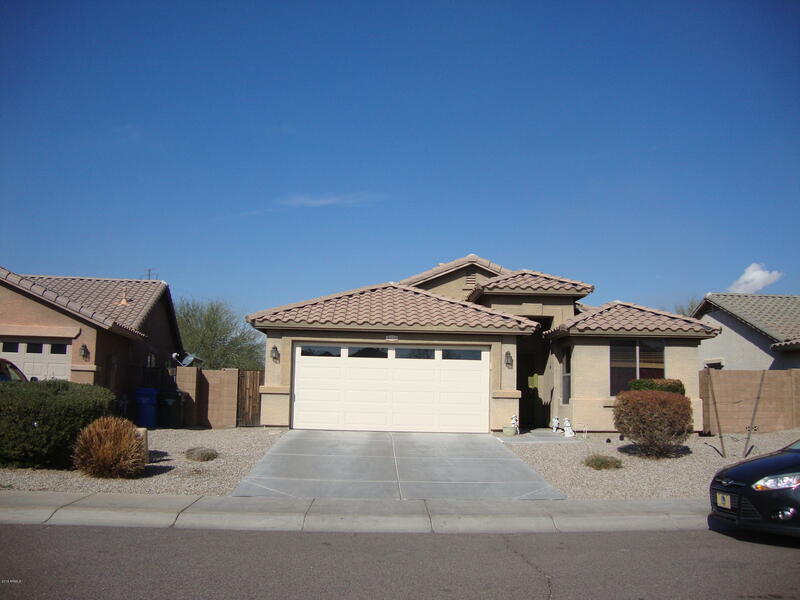 This one has it all in a great room package with Vaulted ceilings.. The great room opens to the large kitchen with a huge center island. Equipped with black appliances, breakfast bar, and pantry. Tucked away in the quiet and well maintained subdivision of Rogers Ranch where you'll find lots of parks and beautiful green belts. Close to Dignity hospital, great schools and shopping, restaurants, and much more. EAST ON BASELINE RD, TURN LEFT ON S 47TH AVE, TURN RIGHT ONTO W CARSON RD, LEFT ONTO 46TH LANE, RIGHT ONTO SHUMWAY FARM RD. HOME LOCATED ON MID BLOCK, RIGHT SIDE.